“Designed by Arthur Peabody, the UW-Madison carillon was originally dedicated in 1936 with 25 bells. Additions and replacements resulted in the current configuration of 56 bells ranging in size from 15 to 6,823 pounds. 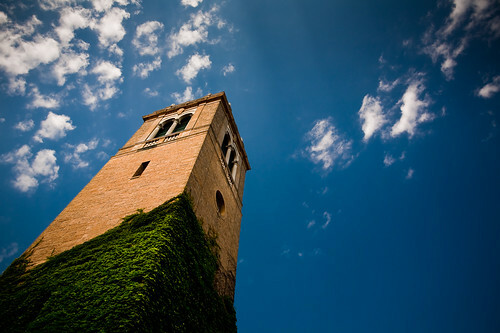 This entry was posted in Photos and tagged "bell tower", "carillon tower", "Dane County", "Madison, "observatory drive", 2012, america, american, architecture, bells, brick, campus, canon ef 17-40mm f/4l sum, canon EOS 5D, Clouds, image, isthmus, ivy, june, loren zemlicka, Midwest, music, north america, Perspective, photo, photography, picture, Sky, summer, tower, university of wisconsin, usa, uw, vines, Wisconsin by lorenzemlicka. Bookmark the permalink.